The host of ‘This American Life’ discusses ‘Three Acts, Two Dancers, One Radio Host,’ his quirky hybrid touring show. 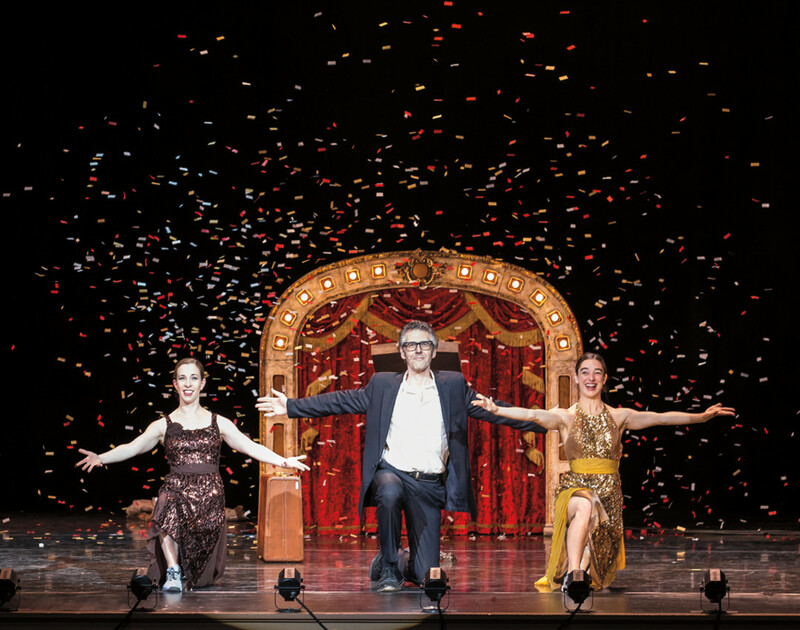 When thinking about poetic bodies in motion, the name Ira Glass doesn’t immediately spring to mind. He gets that. The host of This American Life knows that the thought of mixing his radio storytelling with the dance of Monica Bill Barnes and Anna Bass for the stage show Three Acts, Two Dancers, One Radio Host seems incongruous. The seed of this one-of-a-kind performance was planted years ago when Glass first saw the dance duo live. After working together on a live episode of This American Life that was beamed to movie theaters, Glass, Barnes, and Bass decided to create a show to take on the road. As Glass speaks and radio clips play, the dancers engage in expressive movement and pantomime that bring to life the stories about love, performance, and mortality. While Glass revels in not having the pressure of directing operations for once, adjusting to the repetition of live showbiz has been rough—particularly the part where he has to tell the exact same story in the same way night after night. Always hyperaware, Glass understands the leap of faith Three Acts, Two Dancers, One Radio Host requires. Just jump with him.